The luxuriating scenario of a twenty-point lead in the polls has now evaporated and a sense of slight incomprehension dominates the minds of hardy conservative activists. In a matter of weeks, voters have abandoned the image of Jeremy Corbyn as an incompetent and, perhaps, idiotic flashback to the era of industrial strife and Angel Delight. He is now the messiah of the modern insurgency, grappling with a muddled and supposedly out-of-touch establishment. Yet, as the dismal campaign draws to a much-wished-for conclusion, it is clear that Jeremy Corbyn is the populist grandstander who would force devastating changes upon this country. We need only consider the attitude of some of his fervent disciples to appreciate the type of country we could be waking up to on June the 9th. Abuse hurled at those who dare to express a Conservative opinion. 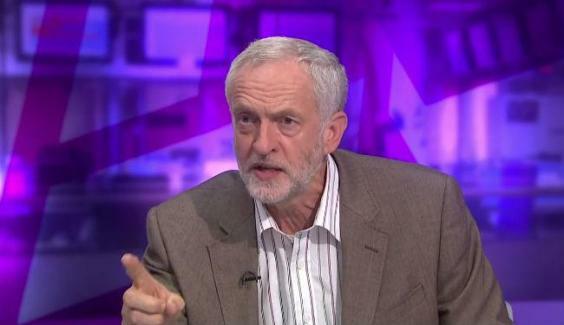 Questioning voices hounded by Corbynistas on television debates. Anybody not tuned into their reckless agenda is considered 'the other', 'an enemy within', 'selfish tory scum'. The self-righteous, virtue signalling, sycophantic voices from aspects of the Left, peddled by the embodiment of these in the shape of Mr Corbyn, is a proud attempt to control and undermine democracy. This is exemplified in Labour's whole approach to the overriding political issue of our time: Brexit. Despite it being the largest electoral mandate in British political history, Jeremy Corbyn cannot even be bothered to recognise the significance. It was merely a passing event, an inconvenience to their plans, an untimely intrusion into policy-making. Only Theresa May seems to understand the complexities behind the Brexit vote and the need to accept the democratic will of the people. Jeremy Corbyn would rather indulge in his own vanity projects than focus on the necessities of Brexit; a typical example of the Left's attitude that they know better than any democratic mandate from the people that they supposedly champion. But what does anything democratic matter when you align yourselves with those whose entire purpose is to undermine the principle of democracy? Jeremy Corbyn's infamous support of the IRA is merely one example out of numerous. Indeed, how can anyone forget his "friends" in the terrorist organisation of Hamas or his support for ISIS fighters in Britain going unprosecuted. All his political life, Jeremy Corbyn has advocated for those who wish to use brute force and murder to achieve their political goals. For the architect of the democratic parliamentary system to elect a man who has openly expressed admiration for dictators would be a sordid symbol of the decline in Western political standards. We are often told that Jeremy Corbyn is a decent man, a man who cares for everyone in society. Yet, where is the decency in supporting organisations who have called for the eradication of the Jewish people? Where is the decency in allowing a mob-like support base to drown out anyone with a contradictory opinion to theirs? Jeremy Corbyn would be a depressing imprint on a nation that has always strived to defend the values we should all be proud of; democracy, freedom of speech and the rule of law. It is apparent that Mr Corbyn has no regard for any of these. Purely for these reasons, I would urge a vote for Theresa May and the Conservatives.